Sign Ups Open Monday, February 25 at 8 a.m. for Expo. DTTD Tourism Booth sign-ups are already open.NOTE: When sign ups open, please sign up for only one shift. If there are still open shifts a week later (Monday, March 4 at 8 a.m.) you may take as many as you like. The Made In NH “Try It & Buy It” Expo is dedicated to showcasing the impressive variety of quality products and services made in the Granite State. It hosts about 150 exhibitors and thousands of attendees every year; the shopping is amazing! There is a little bit of everything: jewelry, crafts, lawn and home care, pottery, bath and beauty products, pets, kids, and of course food, wine, and desserts. 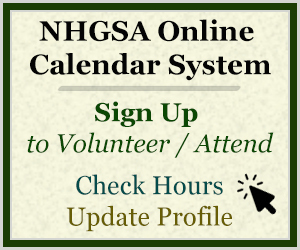 All active GSAs and Future Leaders of NH are eligible to volunteer. Friday, March 22, 2019 1 p.m. – 8 p.m.
Saturday, March 23, 2019: 10 a.m. – 7:30 p.m.
Sunday, March 24, 2019: 10 a.m. – 4 p.m. Parking is available in the garage ($6 validated rate) and on nearby streets (the side streets are free on weekends, Elm St. is only free on Sunday). The Expo has offered to pay for our parking while we’re volunteering, but we encourage you to park on the street when it’s free (Saturday and Sunday) and carpool whenever possible, because $6 each for 50 plus volunteers can add up very quickly! Ticket Sales: Sell tickets, stamp hands. You will need to be able to accurately use the cash register – this Expo has a number of different prices and policies that you must be comfortable with. Back Door Monitor: Sit/stand by the back door to ensure that no one sneaks in. NH Tourism Booth: Pass out State tourism literature and talk to guests about tourism in NH. 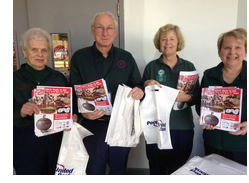 A volunteer orientation meeting will be scheduled soon and will be held at Millyard Communications’ office, 55 S. Commercial St. in Manchester. Full GSA uniform: GSA shirt, kakhi pants or skirt and name tag. No shorts at this event. No purses or large bags, please. Fanny packs and small over the shoulder wallets are okay. If you need to add extra layers for warmth, please try to wear them underneath your GSA shirt (white or black long sleeved shirts, turtlenecks, etc.) Please try to avoid sweaters, coats, and vests that might obscure your uniform shirt. If you are wearing a sweater, it must be a cranberry, forest green, or navy cardigan style.